T he British Conservative Party has recently been described as ‘the Nasty Party’ but this doesn’t alter the fact that this Party is, at the moment anyway, the leading force in our national politics and can make one mistake after another without losing a solid core of popular support. But what does the term Conservative actually mean? And what especially does it mean for us today? A simple answer is that the word means what it says. Conservatism is about conserving things, not everything of course. But the good things that we admire and cherish which, if we don’t look after them, we might lose. These things are our most important collective assets. Peace, freedom, law, civility, the security of property and family life. In all of those assets we depend upon the co-operation of others, having no means single-handedly to obtain it. The work of destroying our social assets is quick, easy and exhilarating. The work of creating them slow, laborious and dull. The is one of the lessons of the twentieth century. It is also one of the reasons that Conservatives suffer a disadvantage when it comes to public opinion. Their position is true, but boring. That of their opponents, exciting and false. Still, a bit more needs to be said. The Party is muddling along without a philosophy, but it has received a wake-up call from opponents with far-reaching goals and a programme for achieving them. And even if those goals are largely negative, being a catalogue of things they wish to get rid of, capitalism included, it is sufficient to plant a big question in the mind of the electorate. “What does the Tory Party really stand for?” What vision of society underpins its policies? Or is everything merely management and spin, as it was for the Labour Party under Tony Blair? Conservatism has had two historical rivals: Liberalism and Socialism. Liberalism is the product of the Enlightenment; it sees society as a contract and the State as a system for guaranteeing individual rights. Socialism is the product of the Industrial Revolution; it sees society as an economic system and the State as a means of distributing social wealth. Liberals have defended the right to property while Socialists have defended the State’s right to take it away and redistribute it in the name of social justice. Liberals, in the original meaning of the term, believe in free speech and free association. Socialists believe all freedoms are subservient to the common good. Liberals defend the individual from the State while Socialists defend the State against the self-interested individual. Conservatives have leaned more towards Liberalism than to Socialism. However, they believe that freedom means responsibility. Which in turn depends on public spirit and civic virtue. We human beings are not isolated atoms governed by appetite and intent on our own gratification. Or, if we are becoming like that, in the materialist and consumerist culture of our time, then that is something to be deplored and resisted. The business of politics is to foster a flourishing civil society, composed of responsible people, tied to each other by lasting bonds of loyalty and affection, the State, to protect our liberties because only free- beings can truly be responsible for their lives. But a responsible society cannot be created by the State and is threatened when the State tries to control associations and to confiscate wealth. Here is where the difficulties of a true Conservative begin. For a variety of good and bad reasons, Conservatism is now caricatured as the belief that all social problems should be left to the market. And the free market is further caricatured as the realm of selfishness and consumerism. Hence the idea of the Tories as ‘the Nasty Party’; concerned to dismantle all the checks and balances that stand in the way of individual greed. The Tories themselves are partly to blame for this unjust caricature. Having espoused a policy of silence and secretiveness in the face of every public attack, they have made it look as though they can do nothing in response to these criticisms save hide from them, which is another way of admitting them. And the effect is exacerbated by the habit of pretending that the only serious political questions are about economics. Culture, religion, identity, community and happiness, all the things that really matter, seem to be reduced to financial deals. 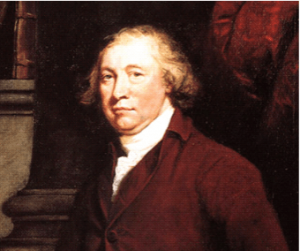 Above: Edmund Burke (1729-1797) was an Anglo-Irish statesman and political philosopher. He is often considered to have established the intellectual foundations of modern Conservativism. It goes without saying that I reject this caricature of Conservative politics. I don’t think Conservatism reduces political order to market economics, nor do I think that markets themselves are expressions of selfishness and greed. Markets work only when cheats are punished and rules enforced and depend upon the legacy of responsibility, which is the most important item on the Conservative agenda. Markets depend upon the rule of law, which in turn uphold the virtues of law-abidingness and honesty. We all engage in market dealings, since we all wish to deploy our labour to the best advantage, which means exchanging our surplus for things that we need. Markets express our desire to settle our relations by agreement. The State which tries to replace the market economy therefore risks destroying social trust and, in the course of doing so, depriving the people of the means to satisfy even their most urgent needs; like the Venezuelan state today. But no true Conservative believes that markets are everything or they do not stand to be guided or corrected. There are duties with property as well as rights. There is a duty to give to those in need. To avoid exploiting others’ vulnerabilities. To pay taxes in all those places where you do business. To reward loyalty, and to uphold friendship and trust. If our Victorian ancestors had relied on market principles alone in building the industrial economy they bequeathed to us, they would not have limited the hours of work of children in the factories, nor would they have offered education and training to their workforce. A responsible employer, Disraeli argued, is guardian and trustee of those who work for him. And this is relevant to us today. An employer who decides that it is cheaper to discharge his workforce onto the streets and to import another, cheaper workforce from Eastern Europe is obeying market principles, but he is violating a duty of neighbourliness and exploiting the social and material capital of our country without regard for the true heirs of those who created it. The emphasis on responsibility is the real reason why Conservatives are suspicious of the modern State and wish to limit its powers. They accept the need for a socialised healthcare system and measures for the relief of poverty, but they also realise that benefits offered freely and without proof of need create a culture of irresponsible dependency. Moreover, ordinary voters, while entirely committed to the National Health Service, are increasingly suspicious of the regime of benefits which undermines the motives on which work, family and stewardship all ultimately depend. If the responsibility to help those less well off than ourselves falls on us as individuals, then it can only be diminished by the passing of that duty to the State. 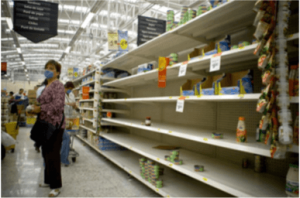 Above: Crippling food shortages now plague large parts of oil -rich Venezuela, the direct result of years of Socialist mis-rule. It is a fundamental item of Conservative belief, as I understand it, that civil society is distinct from the State and that a healthy civil society is one in which we freely associate for social purposes. The British people accept this way of seeing things, and have always given their time, money and energy to mutual aid, when need and emergencies require them to do so. The tendency of Socialist governments has been to destroy private associations, so extinguishing those bonds of trust between strangers which dispose people to co-operate for the common good. Conservatives believe in free association and private initiatives, but not because they think the individual is everything and the State should leave us to grab what we can. They believe in those things because they believe that society itself depends on them. It is through free association, and what Edmund Burke called the ‘the little platoons,’ that the sense of responsibility arises. Margaret Thatcher was often ridiculed for saying there is no such thing as society, what she meant however was that society is not identical with the State. Those who wish to transfer assets from free associations to State bureaucracies are the enemies of society, not its friends. And they jeopardise the thing on which the entire body politic depends, which is the knowledge in each of us that we are answerable to others for all that we are and we do. This habit of accounting to others is the root to civilisation and it is the thing that Conservatives most wish to conserve. It would be a fair summary of the ideological conflict of our time to say that Liberals seek freedom, Socialists equality and Conservatives responsibility. And, without responsibility, neither freedom nor equality have any lasting value. (This article is a transcription of Sir Roger Scruton’s broadcast for BBC Radio 4’s Point of View programme originally aired on Sunday 27th August, 2017). 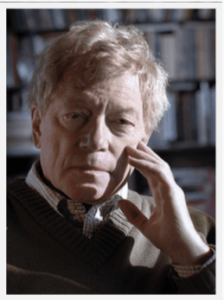 Sir Roger Scruton is a philosophy academic and writer who works primarily in the field of aesthetics, culture and conservative political thought. The former editor of the Salisbury Review, he has written pieces for The Spectator, The New Statesmen and The Times, as well as a number of books on a variety of subjects including philosophy, music, art and religion.